One is a London club run by an American with ambitions of buying the storied home of English soccer. Another is a virtual Portuguese enclave funded in China. The third is a Welsh club owned by a publicity-hunting Malaysian and coached by one of the most charismatic managers around. Fulham, Wolverhampton Wanderers and Cardiff are back in the Premier League and all come with fascinating back stories that add yet more layers of intrigue to the wealthiest and most-watched division in world soccer. They’ll be seeking to emulate the achievement of last season’s three promoted teams — Huddersfield, Brighton and Newcastle — who all managed to preserve their status. With its pretty and intimate stadium located on the banks of the River Thames in an affluent area of west London, Fulham has a quintessentially English feel to it. It doesn’t tell the full story, though. 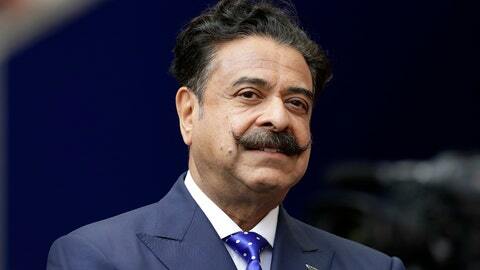 Fulham’s owner since 2013 is Shahid Khan, a larger-than-life American who recently placed an offer to buy Wembley Stadium for about 600 million pounds ($840 million). Khan, who is worth $7.2 billion according to Forbes, also owns Jacksonville Jaguars and wants an NFL presence in London. Having an established Premier League team isn’t bad for his PR, either, and that is the challenge for manager Slavisa Jokanovic and his group of stylish players. It was a widely held belief that Fulham played the best soccer in last season’s League Championship, which the team only escaped via the playoffs after finishing in third place in the regular season. In 18-year-old winger Ryan Sessegnon, they have arguably the most talented young player in the country. He will now be able to test himself on the country’s highest stage and potentially provide an answer to those who felt he could have been a pick for England’s World Cup squad in Russia. Fulham has improved its squad with the signings of English center back Alfie Mawson from Swansea, Ivory Coast midfielder Jean-Michel Seri from Nice, Germany winger Andre Schurrle on loan from Borussia Dortmund, and Serbia striker Aleksandar Mitrovic from Newcastle. Mitrovic spent the second half of last season on loan at Fulham and was a key factor in its push for promotion. Fulham is playing in the Premier League for the first time since relegation in 2014 ended 13 straight seasons in the top division. Wolves, a team from an industrial city in central England, have taken a very global route back to the Premier League after a six-year absence. The club was taken over in July 2016 by Chinese conglomerate Fosun International, which has established links with co-called “super-agent” Jorge Mendes. In charge of a stable of soccer clients headlined by Cristiano Ronaldo and Jose Mourinho, the Portuguese businessman has a huge influence on the sport in general and Wolves are benefiting. A growing number of Mendes clients are at Wolves, including manager Nuno Espirito Santo (the former coach of Porto), midfielder Ruben Neves and the two big offseason signings — Portugal goalkeeper Rui Patricio and international teammate Joao Moutinho. With Fosun’s spending power and Mendes’ influence, Wolves were at a level above any other team in the second tier last season — much to the chagrin of their rivals, some of whom officially complained to English soccer authorities. It will be a different story in the Premier League and the priority for Wolves simply will be staying up. Wolves won three top-flight titles in the 1950s and the last of its four FA Cups in 1960. Full houses of 30,000 fans at Molineux last season show that the fans believe something special is happening. They are back in blue. The spending has been reined in. The coach has vast experience of English soccer. Things have changed at Cardiff since 2014, when it was last in the Premier League. Playing and battling in the image of chirpy and charismatic manager Neil Warnock, the Welsh team secured one of the two automatic promotion places against the odds last season with a mostly unheralded group of players. Warnock, who will turn 70 in December, is in charge of the 15th club of his 38-year managerial career and will coach in the Premier League for the fourth time after stints with Sheffield United, Queens Park Rangers and Crystal Palace. Loud and opinionated, he’ll add some color to the league — much like Cardiff’s Malaysian owner, Vincent Tan, tried to do four years ago in changing the team’s colors from blue to red in a contentious rebrand that infuriated many fans. Back then, Tan was spending lavishly, too, buying players and also hiring Ole Gunnar Solskjaer as manager, despite the Champions League-winning former Manchester United striker’s lack of experience in coaching. Cardiff and Tan appear to have learned their lessons and they are once against spending within their means. It will mean they start among the favorites to go back down to the League Championship.